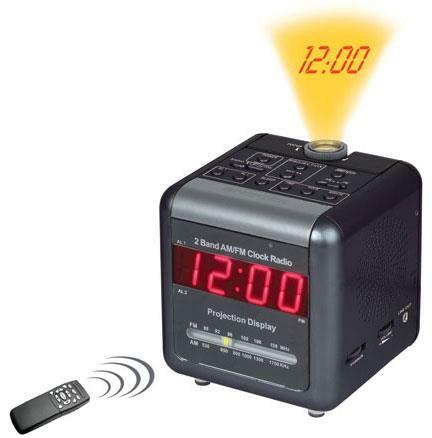 Color hidden camera and mini DVR completely hidden inside a fully functional modern clock radio. The camera uses a SD card and scheduled or motion activated recording. In order to support professional surveillance all recordings are time/date stamped. The camera comes with a 4GB card. With 540 lines of resolution the camera looks out the front of the radio and facilitates a wide angle view. In order to capture better quality images under low light slow shutter technology is integrated. The camera has motion detection area masking feature with easy remote control operation. For instance, if you have pet dog or cat and you want to keep them away from activating the motion detector, you can mask out the lower portion of the image. The Mini DVR Component supports NTSC or PAL video system, and auto detects video loss. supports a 1 channel video and a 1 channel audio recording and playback operation. Audio and Video data are stored directly on the SD card with FAT16/ 32 file system and ASF file format. Simple data backup method to a PC. Audio and Video files on SD card can be viewed straight from your PC with popular media players or directly from the unit to TV or monitor with included A/V cable. The USB interface enables data to be transferred to a PC. @ 352 x 240 and PAL: 12 fps @ 640 x 480.
with independent video size, quality, and frame rate set up. For use anywhere, the device is supported by DC power adapter. 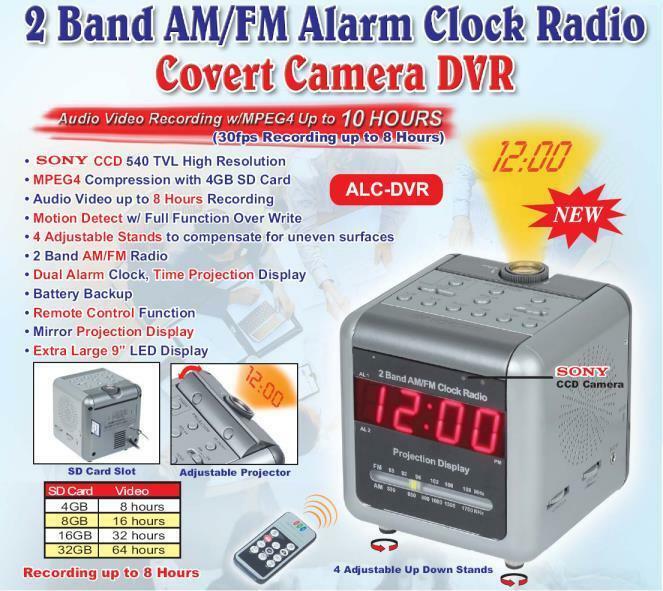 Our system includes the Clock Radio with hidden DVR and Camera, 4GB SD Card, RCA A/V connector cable for use with your TV/Monitor, IR remote control.